Taking place at the RedSand MX Park outside Valencia, round three of the 2018 FIM Motocross World Championship saw Thomas Kjer-Olsen put in two solid race performances to secure third overall in the highly-competitive MX2 category. Not off the overall MX2 class podium so far this season, the Rockstar Energy Husqvarna Factory Racing rider remains second in the class’ provisional championship standings. Bouncing back from a mediocre race one start, Kjer-Olsen continue pushing hard to wrap up the opening MX2 moto in third position. Despite suffering a fall while battling for the lead in moto two, the young Dane claimed a fourth-place result to end a positive weekend in Spain by securing his third podium result of the series. For Kjer-Olsen’s MX2 class teammate Thomas Covington, round three of the championship in Spain proved to be a tough one. Failing to get the starts he wanted, the Rockstar Energy Husqvarna Factory Racing rider was left with a mountain to climb in both motos. Securing 17/19 results the American wrapped up a challenging GP with 19th overall in MX2. In the MXGP category, Gautier Paulin enjoyed a highly positive weekend at the GP of La Comunitat Valenciana. Securing third in the qualifying race, Gautier’s highlight of the weekend was the early stages of the second moto. Making a smart move on Tony Cairoli before the end of lap one, the Rockstar Energy Husqvarna Factory Racing rider found himself leading the race for the first five laps. Collecting 7/3 results, the Frenchman placed fifth overall. 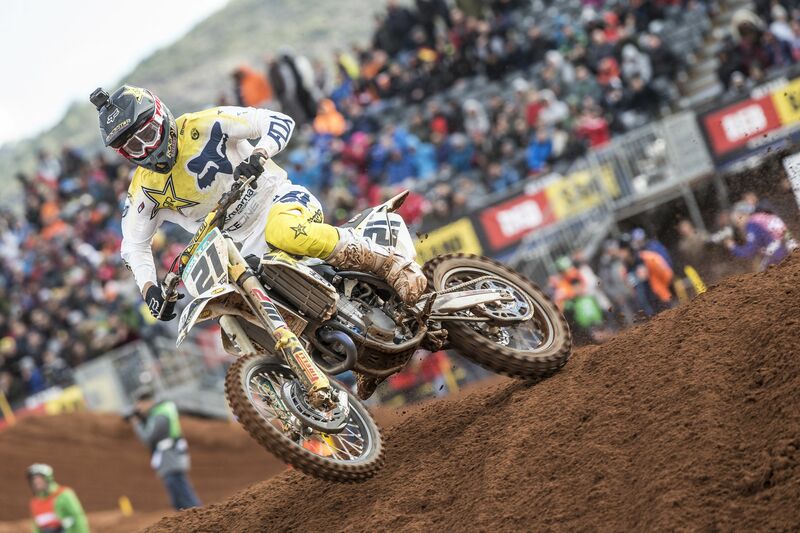 Earning a strong seventh place result in his qualifying race, Rockstar Energy Husqvarna Factory Racing’s Max Anstie was unable to contest Sunday’s MXGP motos following a fall the Brit picked up during the warm-up session. The Rockstar Energy Husqvarna Factory Racing team will return to action at the fourth round of the 2018 FIM Motocross World Championship in Italy on April 7/8. Download high-res images from Spain here.